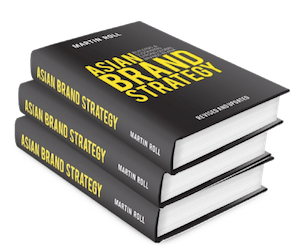 Martin Roll has developed and will be teaching a new mandatory workshop as part of the MBA curriculum at Nanyang Business School in Singapore. Titled “Presentation With Impact”, the workshop is designed to enable MBA students to focus on collecting, structuring and curating content and information into a coherent flow with relevant, supportive arguments, and train their presenting skills to a variety of audiences. Future business leaders will have to operate in a fast-paced, 24/7 real-time, digitalized and technology driven world which is overflowing with data and information. In this environment, the success of a business leader will depend largely on being able to collect, structure, curate, synthesize and present data, content, proposals, and management information to various audiences including colleagues, subordinates, superiors, boards and many other stakeholders. The first “Presentation With Impact” MBA workshop was held during Orientation Week at Nanyang Business School in Singapore in July 2018. Martin Roll has been teaching MBA, EMBA and Executive Education classes at Nanyang Business School since 2006. Nanyang Business School is one of the most established and comprehensive providers of business and management education in Asia-Pacific, consistently counted among the world’s top-tier business schools, For many years, Nanyang Business School has nurtured leaders from around the world, employing innovative pedagogy that melds rigorous academic theory with real-world business practice. The Nanyang Business School MBA programme is ranked regularly as one of Asia’s best and accredited by the European Quality Improvement System (EQUIS) and the Association to Advance Collegiate Schools of Business (AACSB). Martin Roll has been teaching MBA, EMBA and Executive Education programs at Nanyang Business School (Singapore) for the past 12 years, and is a frequent guest lecturer at INSEAD, ESSEC and other global business schools. He is a Distinguished Fellow and an Entrepreneur in Residence at INSEAD and holds an MBA from INSEAD.